Finally! My first Valentines mani of the year. Using; OPI – Nail Envy, Ciaté – Dangerous Affair, Essie – Quick Dry top coat and Sally Hansen – No Chip top coat. As I am participating in a Valentines Collaboration I decided to do the full on valentines theme. 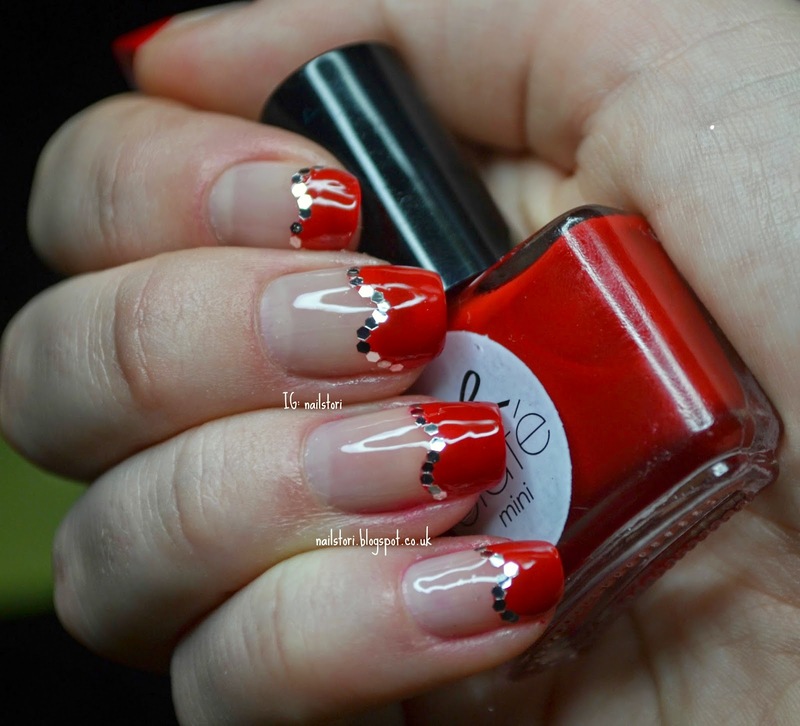 The collaboration is on Instagram with the hashtag #vdaycollab2015 – check out everyone else’s designs, there are so many amazing mani’s. I quite like these nails but think they’re a bit too much for me, great for an occasion but not everyday wear. I forgot to take this mani off before going to Uni with it… Only on one hand! Onto the polish… I actually really love this Ciaté. I’m never a huge fan of red and it wouldn’t be my top choice in colour but I am really liking this shade. You might have noticed I listed two top coats above. I used Essie quick dry for practical reasons but it looked horrible once it had dried! No shine whatsoever. I’ve never noticed this before but it became very clear once I used my Sally Hansen one over top giving it an amazing shine. I’m really sad about the Essie top coat because I’m a massive fan of Essie as a brand. Think I might have to try it again on a few different polish colours. 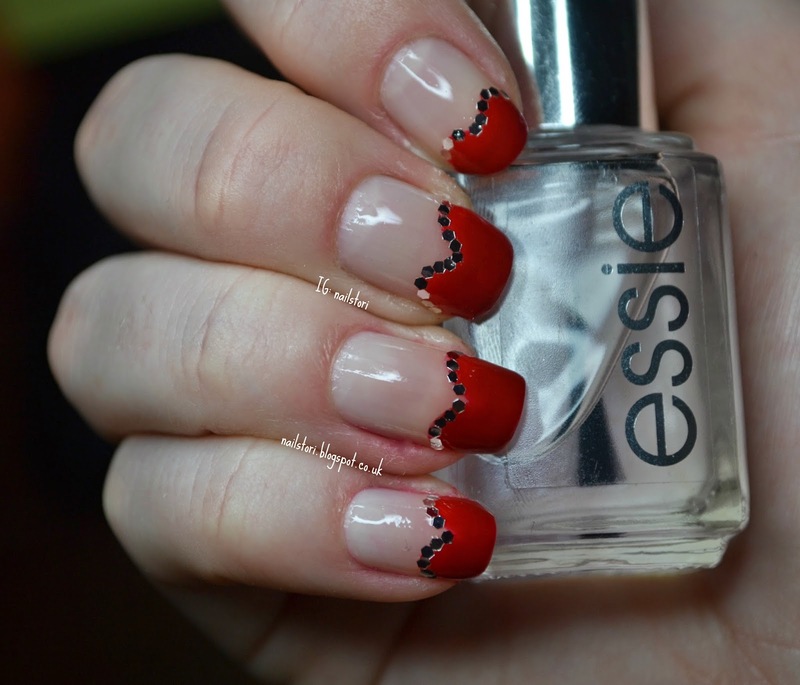 Hopefully I’ll have time to do another valentines mani this week. However, it is my birthday at the weekend so I’ll be doing some nice simple birthday nails. I also have lots of nail goodies on the way such as; Cuter Cuticles bits, more ibd gels, Zoya polishes and a Seche Vite top coat which I have been after forever! Cannot wait to try and maybe review some of them. Thanks for reading this far down! Much love.